About us - Vancouver Industrial Electric Ltd.
Vancouver Industrial Electric Ltd. (VIE) has been providing quality service in the Metro Vancouver area and throughout B.C. for over 26 years. With our diverse skills, first rate service, and professional expertise we offer to our clients an unique service package. We specialize in High Voltage electrical testing and providing preventative maintenance programs for electrical distribution systems. We work closely with our clients, engineering firms, and consultants while providing customized solutions. VIE is a growing company that offers turnkey installation in both electrical and technical services, maintenance and 24/7 services. Our approach towards continuous improvement and keeping current with technical advancements propels us forward in maintaining our high standard. Customers can be assured that the quality of our work is to code, performed by conscientious professional “Red Seal Electricians”. Our goal is to develop solid working relationships with our customers. We have an objective for each project to be on time and on budget. VIE believes in putting safety first by implementing methods that are of high industry standards. 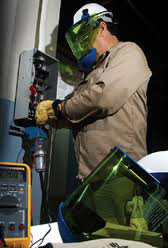 We ensure our employees are equipped with all the appropriate personal protective equipment, safety trained and are committed to safe work practices. We have succeeded in creating an organization that is dedicated to deliver exceptional customer service to all of our clients. We endeavour to work in the Metro Vancouver region and throughout BC by building relationships based on experience, quality, and referrals. Our commitment is to achieve quality and professional service for projects of all sizes.